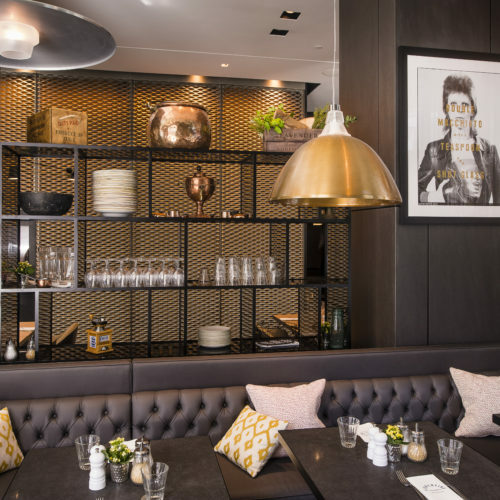 Taking its name from Eggs Florentine, which makes sense given their classic, all-day-brunch menu encompassing all things eggs (apparently an evening omelette is a popular option) this restaurant on London’s South Bank is a find. Expertly crafted dishes made for sharing include piled-high plates of fresh, home-made artisan produce. The head chefs are Italian, with experience in Japanese cooking, so there’s an interesting mix of Mediterranean dishes with hints of Asian flavours. You really are made to feel like a special guest – attentive service without being overly fussy. There is an extensive drinks menu with descriptions of each wine and we love the house cocktail – Florentine Fizz – with vodka, lemon juice, elderflower and Prosecco. The restaurant is well known for its flatbreads, baked in front of you and topped with wilted spinach, generous chunks of warm, soft goat’s cheese, pine nuts and drizzled with tahini. We love the tuna carpaccio and the aubergine tempura to start. The grilled wild sea with spinach, roasted vine tomatoes and Amalfi lemon is a winner. There’s a signature 2KG Herculean Truffle Burger feeding four-six people and some really great desserts – Venetian doughnuts, anyone?